Yakiniku Q Chan is an affordable yakiniku restaurant in the Namba district of Osaka. Conveniently located close to Namba Station on the Osaka metro lines, and to Namba Station on the Nankai Main Line or the Nankai Koya Line. 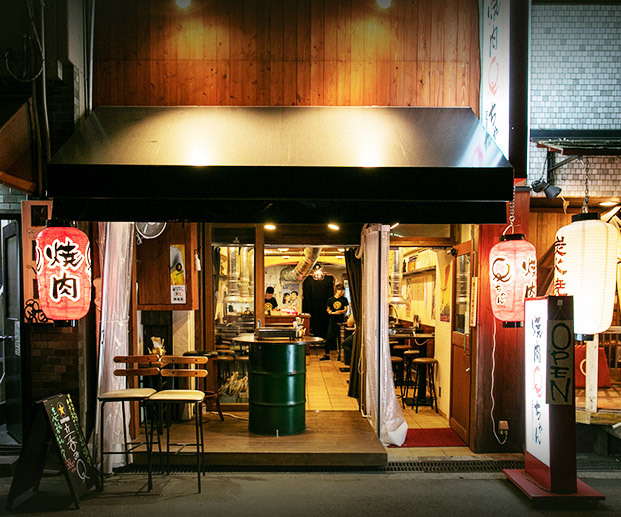 Yakiniku Q Chan is an affordable place to eat high-quality cuts of meat. The owner visits multiple butcher shops each day to carefully select the best cuts of meat available. 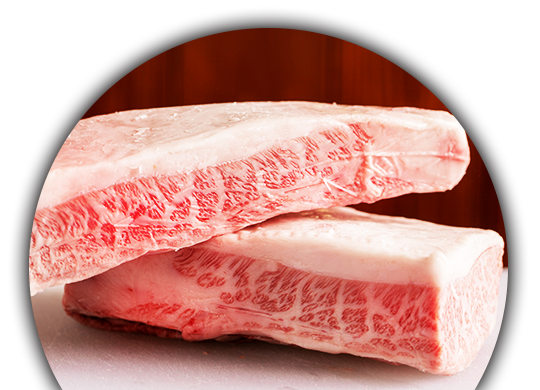 We hope that you'll come and enjoy our high quality cuts of red meat and fresh horumon. We've also got all sorts of delicious things on the menu, including beef tongue and flank steak. We're also proud to offer a wide variety of drinks to complement the meat as well, including our fresh-squeezed fruit Chuhais and beer. The owner himself travels to multiple butcher shops to view the meats on sale and select only the finest cuts available. For ingredients where the freshness of the meat can make or break the dish, such as horumon (intestines) or liver, he travels everyday to Tsuruhashi to purchase meat for the restaurant. 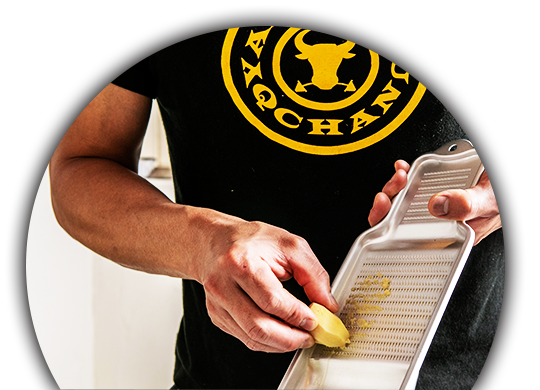 Once an order arrives, the owner uses his own strong arms to grate the garlic, ginger, and other herbs used to flavor the fresh ingredients. 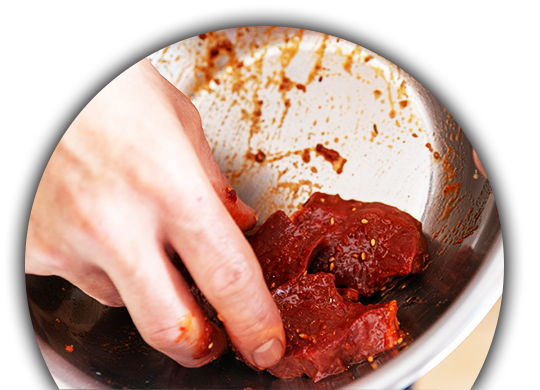 Fresh herbs and spices are carefully massaged into the meat to ensure that every part of the meat is filled with flavor. Once cooked, this meat is flavorful enough that it can stand well on its own, even without adding sauce. 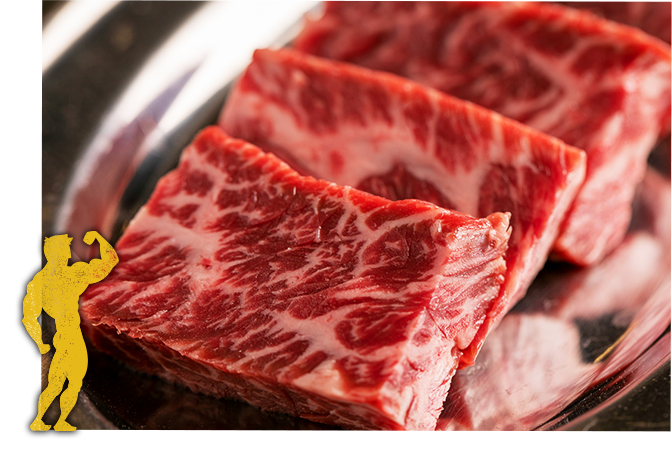 If you're looking for truly exquisite taste, this fine Japanese harami meat may be just what you've wanted. We recommend eating this meat with a mix of wasabi and soy sauce. 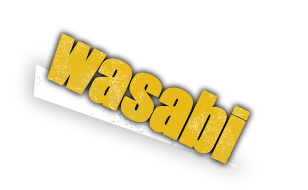 The spice of the wasabi complements the deep flavor and sweetness of the meat. 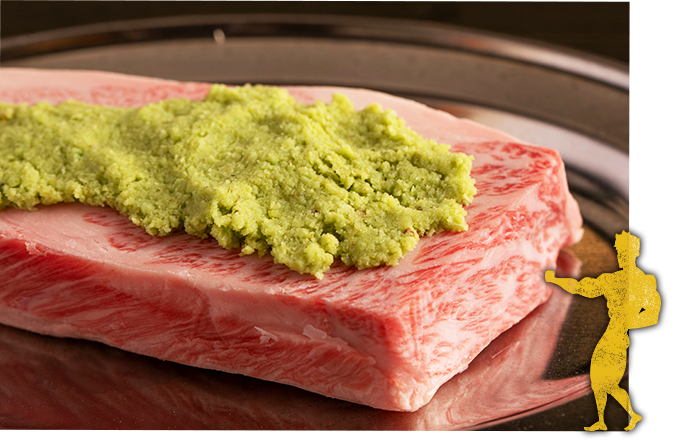 This dish is made with thick slices of specialty Wasabi has been placed liberally on top of the meat. While it might look like there's a lot of wasabi in this dish, it gives it a refreshing taste. 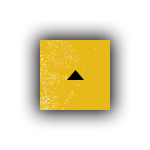 *The menu has been shortened for display here. © 焼肉Qちゃん. All Rights Reserved.